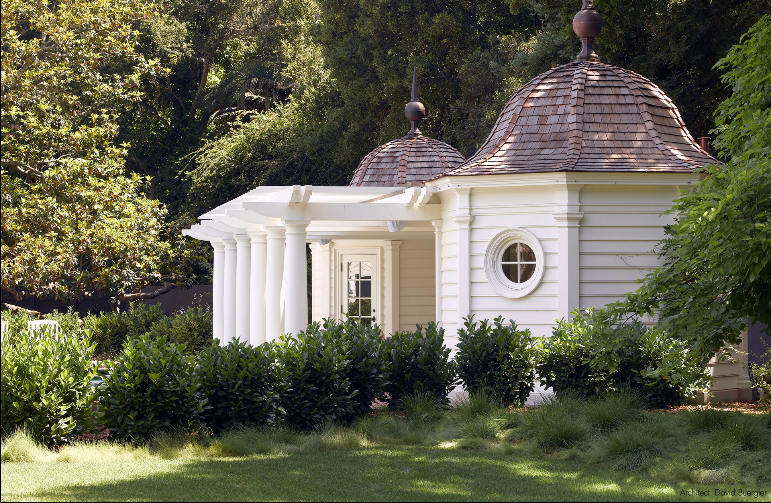 David Buergler is an architect working in California who specialises in historic restorations as well as new construction. 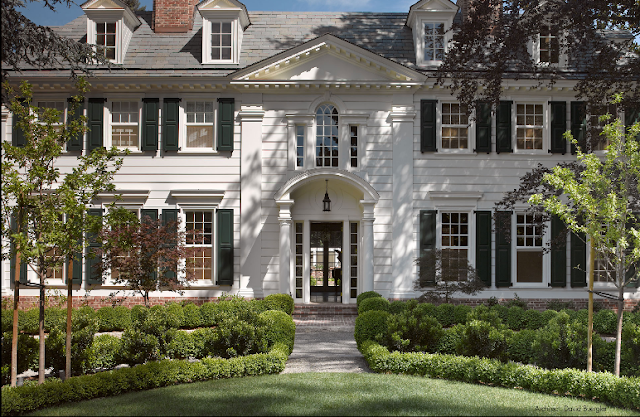 I love this neoclassically-inspired estate in Atherton, which looks like it would be right at home on the East Coast. 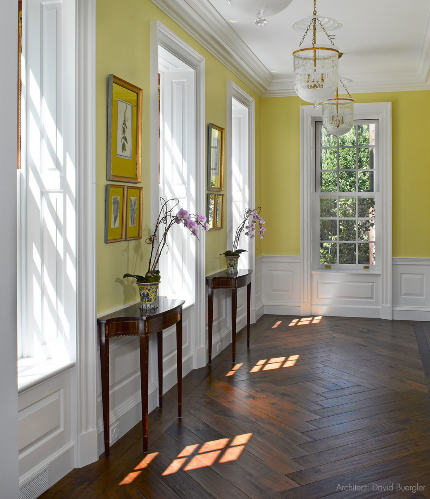 The light fixtures and the herringbone floors make the yellow hallway look positively European! 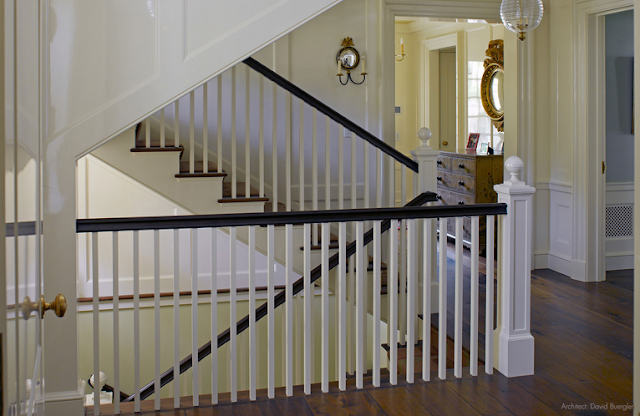 I love the clean lines and federal touches throughout the house. The whole estate seems a little surprising for something located in California to me, but I think it's fantastic.